I don't know, I still LOVE bacon!! At any rate, this is a great card! the first thing I noticed is the bright, sunny yellow! Jen, this is so great and a total eyecatcher. Perfect for a challenge where it's all about the sentiment. LOL now all I see is bacon too, and I want some! 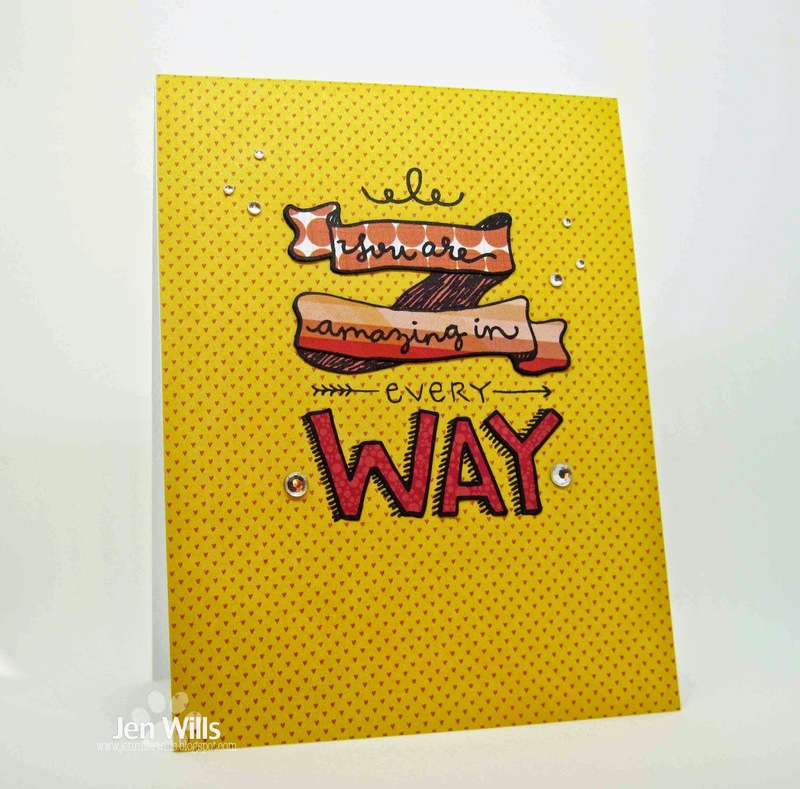 Darling card Jen. I also wanted to thank you for your kind comments in the past it means a lot to me. I am so glad I am not the only one to see bacon at first! LOL Really a fun looking card...unique! Thanks for sharing your talents with us at Just Us Girls! what? Bacon is so totally cool. Bacon, shmacon. I just love this fun, hip card! 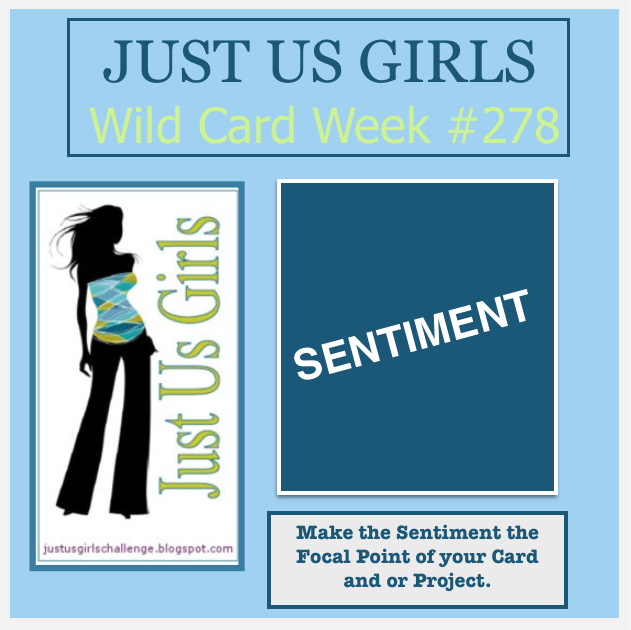 Thanks for joining us this week at Just Us Girls! Paper piecing is not my thing to do but yours came out great. I don't really see bacon, just a well done, brightly colored card.